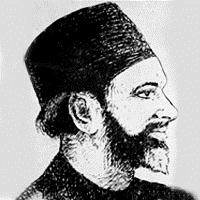 Asghar Gondawi (1884-1936) is the nome de plume of Asghar Hussain who was born in Gorakhpur. As he hailed from a family of limited economic means, he could not get proper and regular education but made personal efforts to study Urdu, Arabic, Persian, and English. He worked for Urdu Markaz, Lohore, but could not continue there for long. Later, he joined Tej Bahadur Sapru’s Hindustani Press in Allahabad and took to editing Hindustani. Asghar had a philosophical disposition which clearly marks the major part of his poetry. In his earlier phase, he wrote under the influence of Sufi poets but acquired a personal tone and tenor which no other poet of mystical nature could achieve after him. His poetry is characterised by a soft melancholic voice which could be traced to his philosophical disposition. His strength lay in his ability to think metaphysically and render his thoughts with poetic credibility. Asghar was not a prolific poet; he was preoccupied essentially with the idea of perfecting his ghazal than write incessantly without much care for artistic merit. This was manifested in his ability to re-think the stock romantic metaphors and appropriate them in both romantic and spiritualist ghazals that bore his individual stamp. His thematic richness and artistic control are discernible in his collections, Nishat-e Rooh and Surood-e Zindagi.